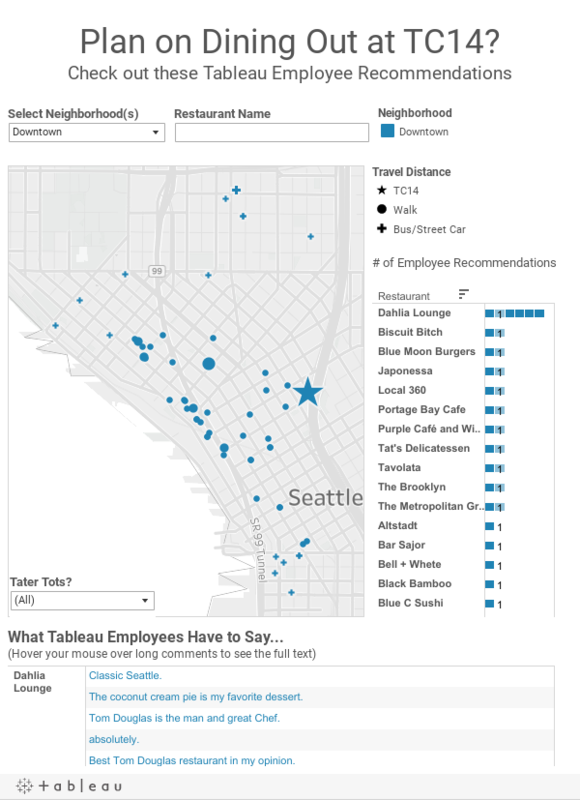 This week, Tableau customer fan favorite Dustin Smith takes us on a culinary tour (via viz) of the Seattle food scene. If you’re familiar with the Emerald City, you know that it’s nearly impossible to keep up with weekly openings of new restaurants, breweries, and food trucks. Lucky for you, we here in Tableau Conference land have come to your rescue to give you a guide to some favorite nosh pits of Tableau employees. Dustin is a Product & Community Marketing Manager and has been with Tableau for a little more than three-and-a-half years. He started out in pre-sales, but made his way to marketing in 2012 and has been with the team ever since. 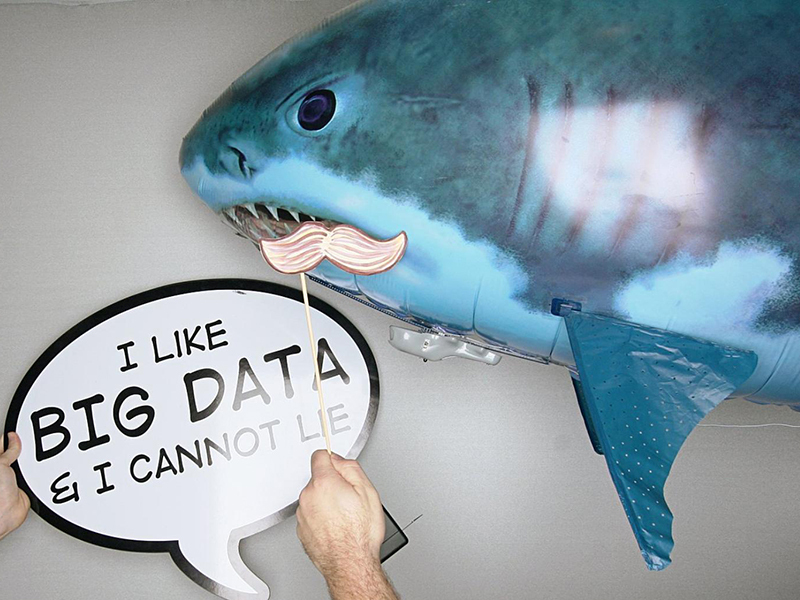 You may recognize Dustin from his prolific Twitter presence (@DustinSmth), his charming and witty presentations at Tableau Roadshows across the country, or by his faithful companion at Tableau Conference, Bruce the Shark. Check out Dustin’s viz below to see what restaurants you might check out while in town for TC14. Comment on this post to add some of your own. Make sure to mouse over the comments to see if that particular restaurant serves Dustin’s favorite menu item, the classic tater-tot. Download Tableau Public today to visualize and share your data in minutes—for free. This is a fantastic viz! Great work. I will keep this forever knowing I can find tator tots stress free! Nice...I am sure this will come in handy during the conference!! Well done! !